March Madness is the time of year when every basketball fan around the United States goes crazy for a while. Couches are burned, swear words are shouted and we lose a little bit of ourselves when our team loses. The final bracket, with Medium as the champion. We started by curating a list of all the blogs we look at regularly in the office. Traditional March Madness has 64 teams to start the tournament, but we chose to start with 32 blogs. Once we got an idea of the blogs we thought were most important to us and other marketers, we started to seed them. Like the SEO specialists we are, we went by organic search traffic. It’s not a perfect method, but we broke down the blogs by which ones were most searched according to SEMRush. We were shocked by some of the results this simple research returned, like HubSpot’s 3.4 million searches per month. From there, we arbitrarily mixed them up into four regions (we heard a lot of “Wow, not fair!” comments in the office the day the bracket was released, so we knew we did it right). What Were the Votes Like? For the most part, the big blogs ruled. 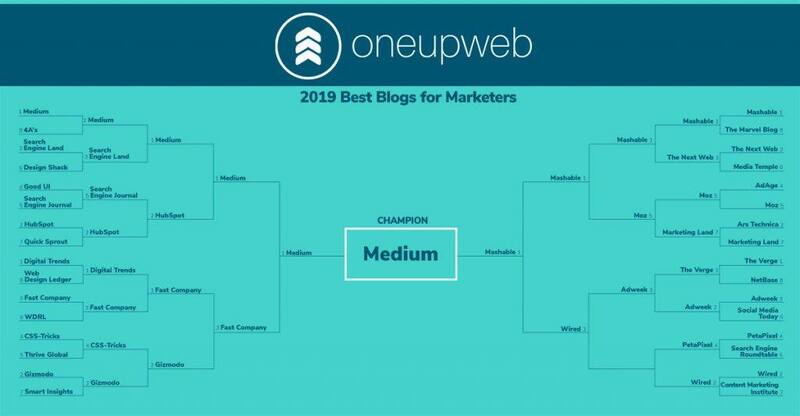 Our final four was Mashable, Medium, Fast Company and Wired. We have a diverse group of marketers in our office, from web developers to paid media managers, so it makes sense that their interests would overlap with the bigger-name companies. Still, Search Engine Land put up a good fight against Medium, losing 43% to 57%. And in the first round of voting, Moz overtook Adage. 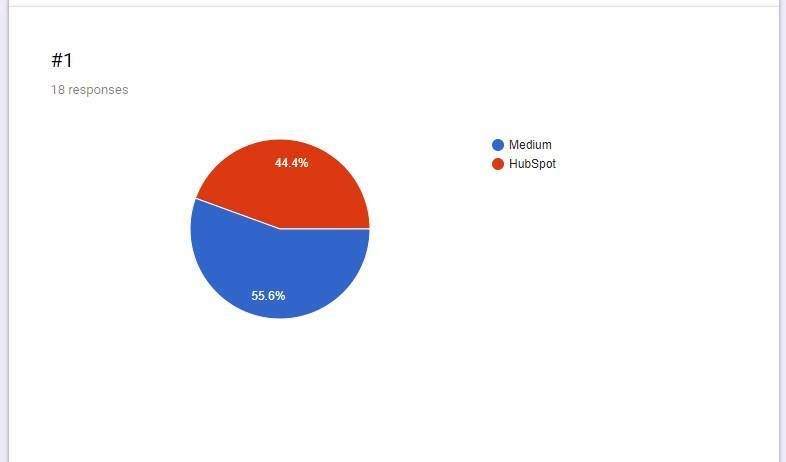 Medium and HubSpot almost ended in a tie and so did Mashable vs. Moz. Absolutely nothing. It was just a fun exercise to see which blogs our office might favor. If you enjoyed reading this as much as we enjoyed making it, check out all the other great things we post to our blog.